The first photos and teaser from 'Mad Men''s seventh and final season predictably didn't reveal very much, unless we're to believe that the entire season relocates the offices of Sterling-Cooper & Associates to the inside of an airport. The second round of photos from the final season have arrived in gorgeous hi-res as well, showing a few more familiar faces amid the 'Mad Men' madness. Still set amid the same airport (or at least outside of it), the newest photos for 'Mad Men''s seventh and final season see John Slattery's Roger Sterling classing up an airport terminal, while outside Megan Draper (Jessica Pare) seems to have ditched Don for a taxi. Or was she meeting him...are we over-thinking this? Elsewhere, Peggy puts in another appearance, alongside the supporting cast of Ginsburg, Stan, Harry and good ol' Kenny Cosgrove. A lot of what we’re dealing with this season, and I won’t be too specific about it, is we’re acknowledging what happened to Don at the end of last season. That really did happen. He lost his job but also had a silent moment of reconciliation with his daughter. And he had that breakdown at the Hershey meeting where his anxiety was expressed as a confession. The consequences of that activity were kind of what we’re writing about on some level. What part is irrevocable? Just because you feel different doesn’t mean the world thinks you’re different. And it’s hard to prove that you changed or to know if you’ve really changed. Specifically as the show comes to a close I was interested in the material versus the immaterial world. The world of money, ambition, possession and the concrete and not-so-concrete expressions of love. For Don it definitely seems like an acquisition on some level. And then the immaterial, which is that, on some level inside these characters there is a world beyond that that is not what we see. If those other needs are met, or not met, how will that affect them? 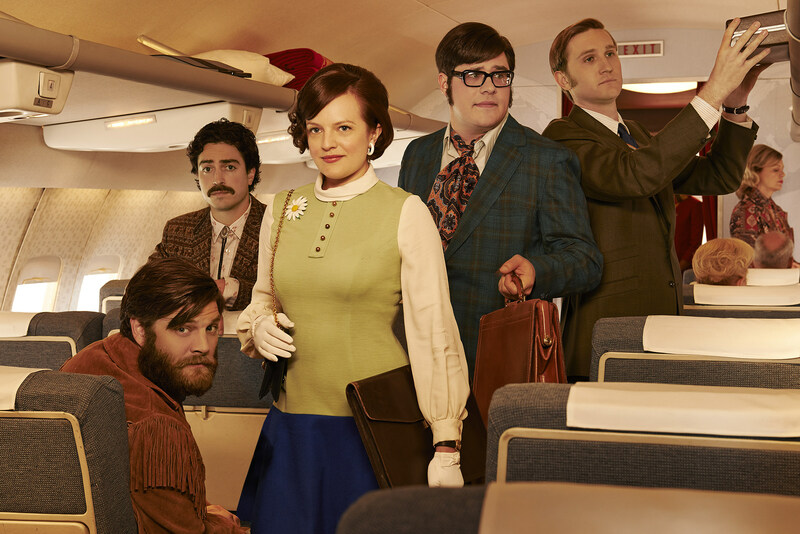 No doubt we'll have more character artwork and actual photos as we roll up on the April 13 premiere, but in the meantime check out the 'Mad Men' season 7 cast in all their technicolor glory below, and give us your predictions for the season in the comments!